There’s no denying this lineup of current hip hop and producer talent that will be hitting Austin, Houston and Dallas as the “Jambalaya Fest” in May. 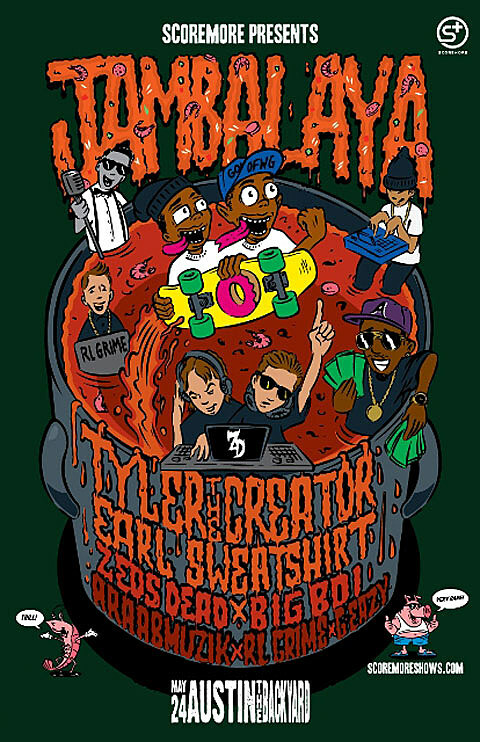 It will be like SXSW all over again when Odd Future’s Tyler the Creator and Earl Sweatshirt (also known as Earl Wolf), Big Boi, Araabmuzik, Zeds Dead, RL Grime, and G-Eazy join forces at Bayou Music Center in Houston on May 23, The Backyard in Austin on May 24, and the Palladium Ballroom in Dallas on May 25. Tickets are on sale at the links. 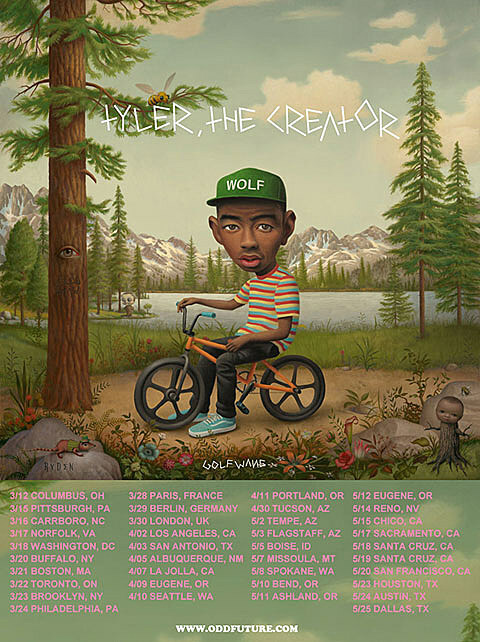 For Tyler, the three shows are the end of a tour in support of his new LP “Wolf” that dropped at the beginning of April. That tour poster is below. 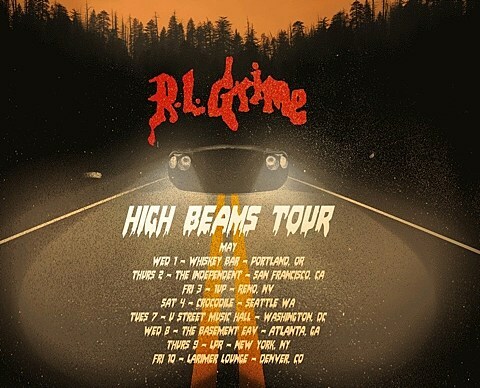 RL Grime recently released remixes of Jamie Lidell and Kanye and will meanwhile be playing other select dates around the country in May. His tour poster is also below. All three “Jambalaya” shows are being presented by Scoremore who also bring Bun B to the North Door on 4/19.